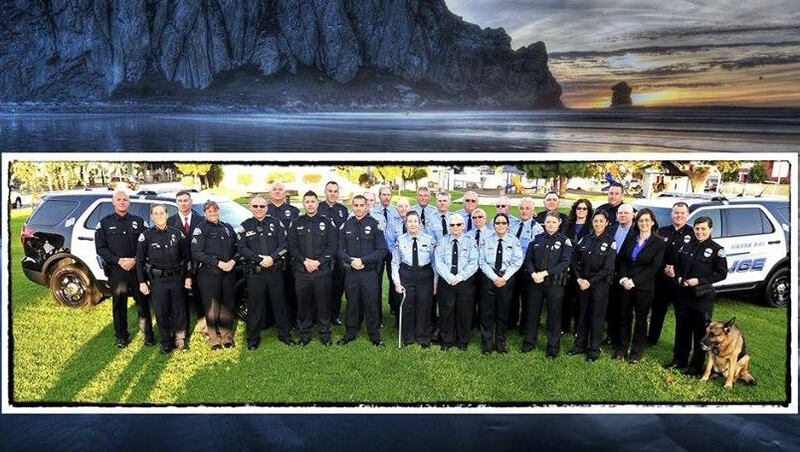 Following outcry from residents, the Morro Bay City Council unanimously voted down a proposal to outsource law enforcement duties to the San Luis Obispo County Sheriff’s Office. The city had considered disbanding its police department after a consultant suggested contracting out policing duties as a cost-cutting move. Last year, Morro Bay officials commissioned a study of the city’s organization, management process and fiscal situation. Consulting firm Management Partners completed the study in May 2015 and delivered 65 recommendations, which city officials vowed to at least consider. One of Management Partners’ recommendations was to obtain a proposal from the county sheriff’s office for providing law enforcement services to the city. The consulting firm also recommended the city contract most of its harbor department operations to a private harbor management company. Additionally, Manage Partners suggested the city gradually contract some of its firefighting duties to Cal Fire. Last November, the council decided to wait until 2017 to formally consider contracting out police services. But, Morro Bay’s police chief and commander recently left the police department, prompting the city council to expedite a discussion on contracting out law enforcement services. In July, City Manager David Buckingham announced city officials had already initiated talks with sheriff’s office. City officials also set parameters for the possible outsourcing of law enforcement services. But, as Morro Bay residents protested the idea of disbanding the police department, city officials reversed course. In advance of Tuesday’s council meeting, Buckingham issued a staff report recommending the council not consider outsourcing law enforcement services for a minimum of five to 10 years. Buckingham stated initial analysis indicated the city could save about $500,000 a year by contracting with the sheriff’s office. But, Morro Bay’s budget is currently balanced, and the city can continue providing its existing level of services for the next five to 10 years, Buckingham wrote. On Tuesday, public speakers at the council meeting overwhelmingly opposed the plan to contract out police services. Residents also delivered a petition with more than 2,000 signatures in opposition to disbanding the police department. Still, the city may considering outsourcing services in the future if its financial situation worsens. Outsource the Mayor and council instead.. I made a couple of points based on limited knowledge of the situation and common sense. Could someone who is privy to the facts set me straight if I am wrong? 1. The officers are disappointed because they would have been assimilated into the SD and received big raises. 2. Isn’t it true that the MBPD officers would have been offered the above option? 3. Is it not true that the SD wouldn’t have been stretching their resources thinner because the assimilated officers would make the manpower available to continue service at current levels? I meant “limited knowledge of the situation and [a lot of] common sense”, not “limited…common sense”. The president of the Morro Bay Police Officers Association spoke last night and made it perfectly clear that they want to keep a local police department. The answer to your second question is “no”. The answer to your third question is also “no”. 1) MBPD officers would not have been absorbed to the SD and would basically have to apply for the position as any new employee. 3) Not sure of the current staffing situation of the SD but from what I hear they are seriously short handed and common sense you would think they would just have everyone join the department without hesitation. Thank your for your answers. I truly appreciate you taking the time to respond…taxpayer also. The spiral down in the City of Morro Bay is a sad factor – staff leaving in droves, no action on the waste water treatment plant with an estimated cost of 145 million vs. the 34 million project that Irons, Johnson and Smukler blew up without community input. And just for fun, take a look at the number of management and department head staff that the city manager has added since he got here versus the number of worker bees…..alarming. I wonder what christine johnson, smuckler and irons would say they have accomplished in the past four years that has helped the city – there is nothing they have done that has helped the city, but there is a boatload of harm that has been done, including hiring someone that has no idea how to effectively manage people, keep morale up or run a municipality. christine johnson, smuckler and irons should be ashamed of hiring buckingham and then gushing over every move he makes. the report that he provided was a joke, there is absolutely no way the city could save $500,000 by hiring the sheriff to do the same level of service and then to say that you either get to keep your police or have your streets paved is beyond ridiculous. do they not understand that morro bay is the laughing stock of the county and beyond. hope there are some choices in november! Mz Johnson has her head in the sand I’ve talked with her at the sewer meetings and she has no idea what she is blathering about. Smuck is only concerned about bikes. Irons is in bed with the morons we have for supervisors,gibson and hill, the idea behind giving the police,and fire away and building the sewer plant out of the city limits is to make it easier to unincorporate the city and give it to the county,thats my take on this mess. This is a good decision all the way around. Morro Bay residents don’t have to deal with the sheriff’s deputies and the sheriff’s deputies don’t have to deal with Morro Bay residents! The deputies joked whoever got sent to work in the city would be doing so under duress..
Have any of the residents googled the new interim police chief that was hired by this City Council? He’s allegedly had 3 different incidents involving missing persons where he didn’t handle the situation appropriately. In one case, it cost the city that he was working for $6,000,000. His name is Larry Todd. Google it! CCN: How about some reporting on this? This is Morro Bay’s new Interim Police Chief. Former Los Gatos Police Chief Larry Todd is in hot water over a missing person’s case again–for the third time in his career–not far from the post he left a year ago. And this time, the embittered family of the victim is calling for his resignation. Eyewatchers may recall that Todd retired last July from Los Gatos amid criticism of shoddy police work and dismissive treatment toward family members in the unsolved case ofJeanine Harms, (“In Harm’s Way,” Mar. 20). Todd’s latest trouble started in April when he accepted an interim chief’s gig with the city of Hollister for $12,000 per month, and another missing person’s case landed in his lap. On June 10, the family of 73-year-old Ralph Santos reported their “Pops” missing hours after he failed to pick up one of his grandkids. In an eerie déjà vu to the Harms case, family attorney Greg Laforge says Todd didn’t take the Santos family seriously, assigned minimal personnel to the case (a beat cop who’d been a detective for only three days) and just generally “kept them out of the loop.” More importantly, he adds, the Todd-led Hollister cops were so confident of their thesis that the old man was a runaway they didn’t even put out a stolen-vehicle report on Santos’ red 2002 Kia to alert other police agencies throughout the state. A full week after Santos’ disappearance, police detectiveDavid Godoy was still telling the local paper, the Hollister Freelance, “This is a great misunderstanding,” and that the old man had probably disappeared of his own free will. But on June 19, two days later, Santos was found murdered in a mustard field at the edge of town, his car nowhere in sight. Fueling charges of incompetence by the family–and attorney LaForge–is the fact that it still took the police more than a week after Santos was found dead to issue a stolen-vehicle report. When the agency finally did, the Kia was found and recovered within 24 hours–in Stockton, being driven by Eliseo Rojas, 24, who led police to Eusebio Ramos, 30. The pair, who are farmworkers, have been charged with murdering Santos, discarding his body and stealing his car and personal property. LaForge says city officials are “circling the wagons,” in fear of a lawsuit from the Santos clan. “This has nothing to do with a lawsuit,” he says. “These people have been mistreated since day one in this investigation. They want some answers.” Todd, he adds, only met with the family after arrests were made. 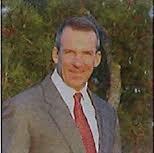 … This latest missing person’s imbroglio is the third strike for Todd. As recounted in Metro’s cover story “In Harm’s Way” (March 20), in addition to the Harms case, Todd’s troubles date back to his tenure in West Covina, where he shared responsibility in a missing-person/botched-ransom case that resulted in a 10-year-old boy being killed and a $6 million settlement against the city. Todd’s contract with Hollister was supposed to last until the end of September, but an insider tells Eye that the city may try to hire its permanent chief sooner rather than later, just to get the controversal Todd out the door. should fit in perfectly with the city manager and city council!